NEWARK, N.J. (WABC) -- Newark's new superintendent of schools attended his first school board meeting Tuesday night; something his predecessor was criticized for not doing enough. 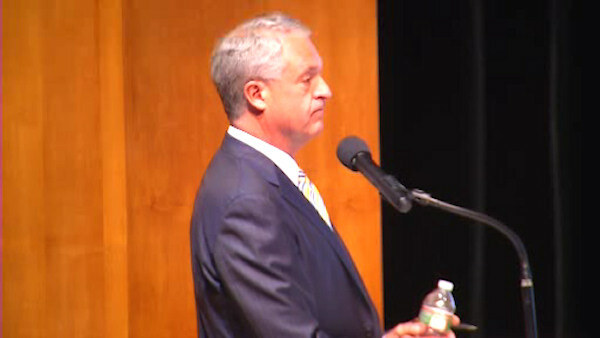 Superintendent Christopher Cerf took over the district this summer. Cerf, a former Department of Education commissioner, was handpicked by the state to take over for Cami Anderson. She hadn't attended a board meeting since January of 2014. Anderson stepped down in July after four turbulent years.